Some of us go to work for reasons like self-improvement and advancement. Most of us do it for the money. Having a daily schedule as basis of going through our daily notions help us focus on what needs to be done on a typical work day. An employee work schedule is based on a pay schedule that compensates an individual based on what that individual does at work or expected to do at work. Examples on the page further show additional information regarding what a pay schedule is and how it is structured that result on how we are being paid. 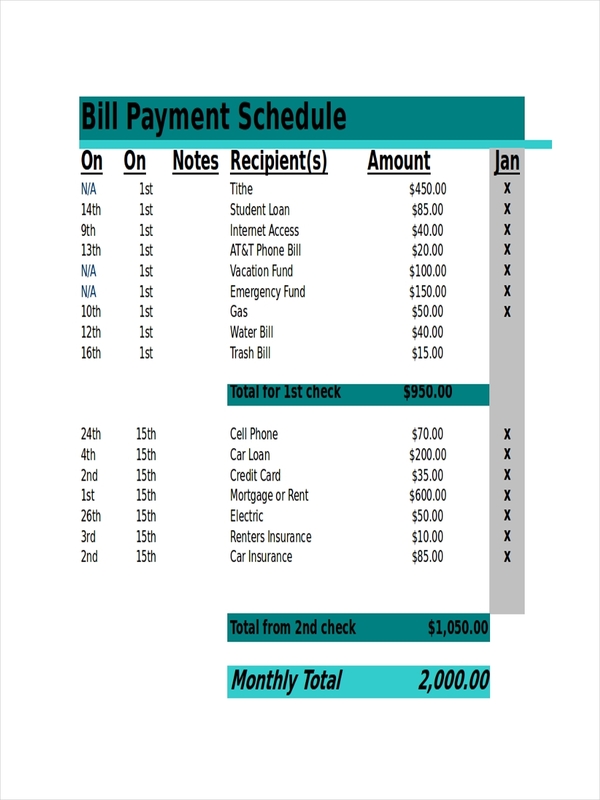 What Is a Payment Schedule? 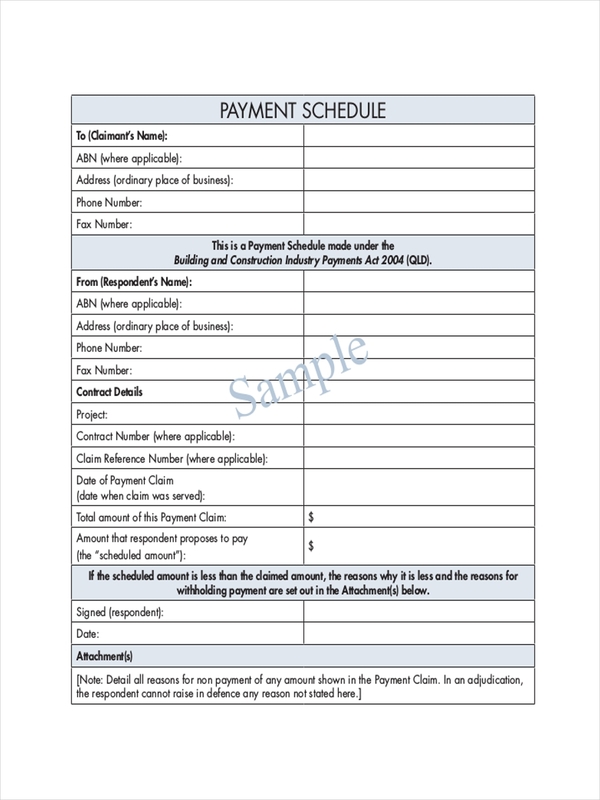 Payment schedule is basically a time management schedule or time table in which payments are to be made to a creditor. Some payment schedules refer to work where the employees are the creditors having done work for the company during a duration of time. 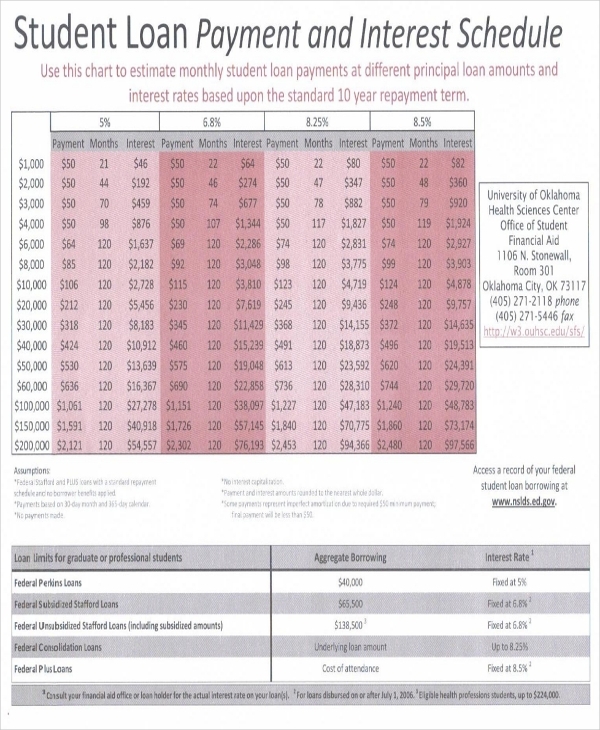 Some payment schedules refer to timed payments made in connection with a contract or agreement. 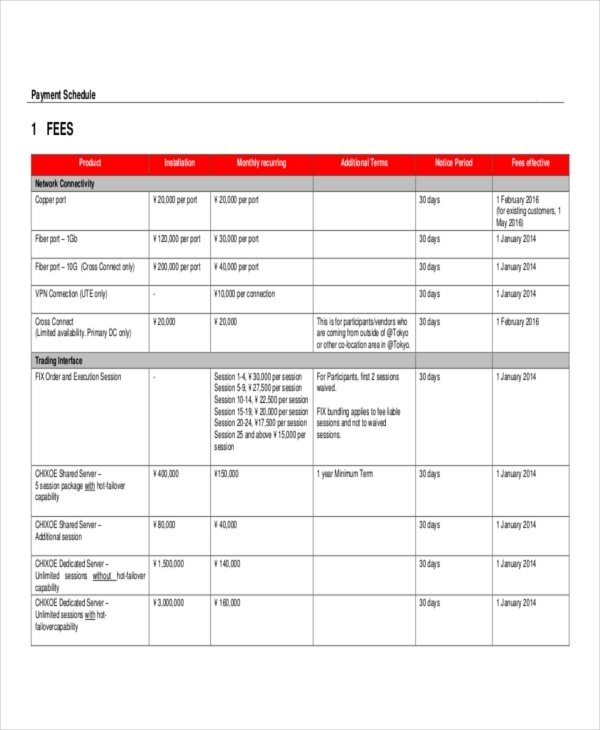 Schedule examples in PDF and program schedule examples are seen on the page to provide additional information regarding a payment schedule. Feel free to have a closer look at the samples. Just click on the download link button below the sample to do so. 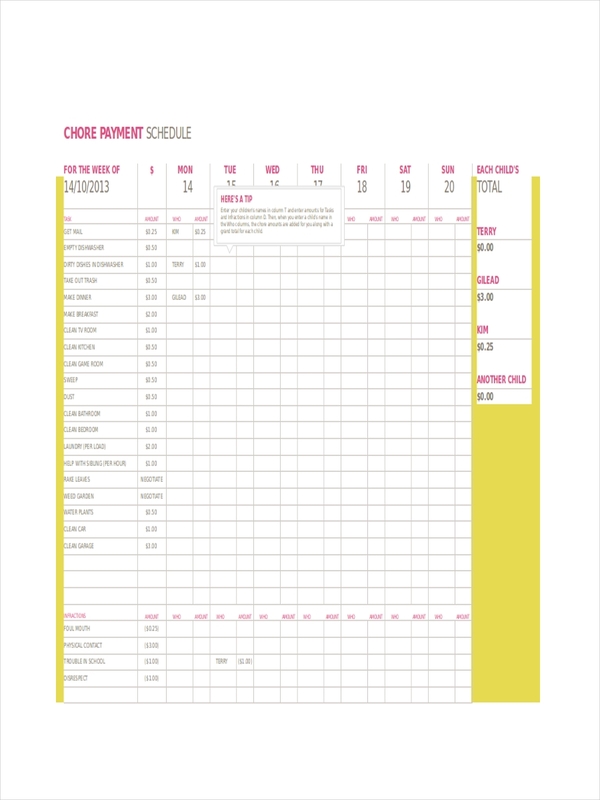 Schedule examples like staff schedule examples shown in the page may provide inspiration and added knowledge in the making of a payment schedule. Just click on the download link button below each sample to access the sample file. 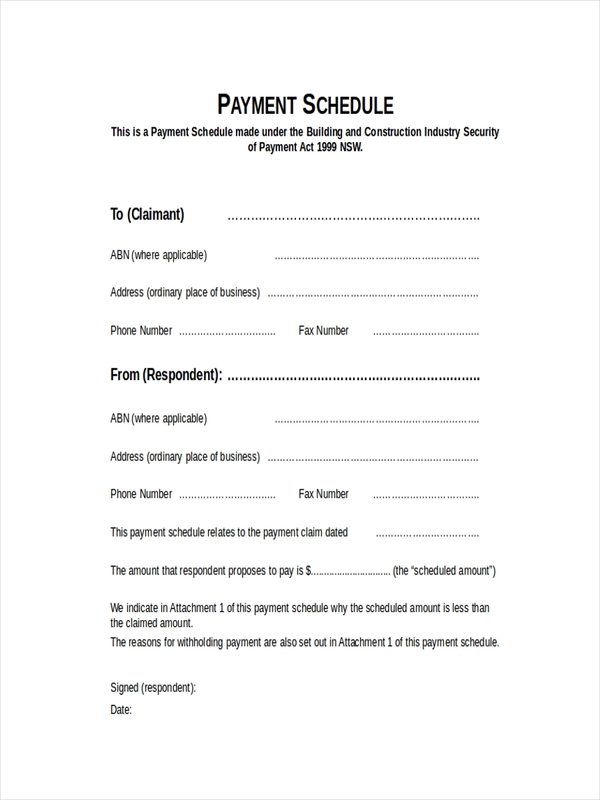 Why Do You Need a Payment Schedule? 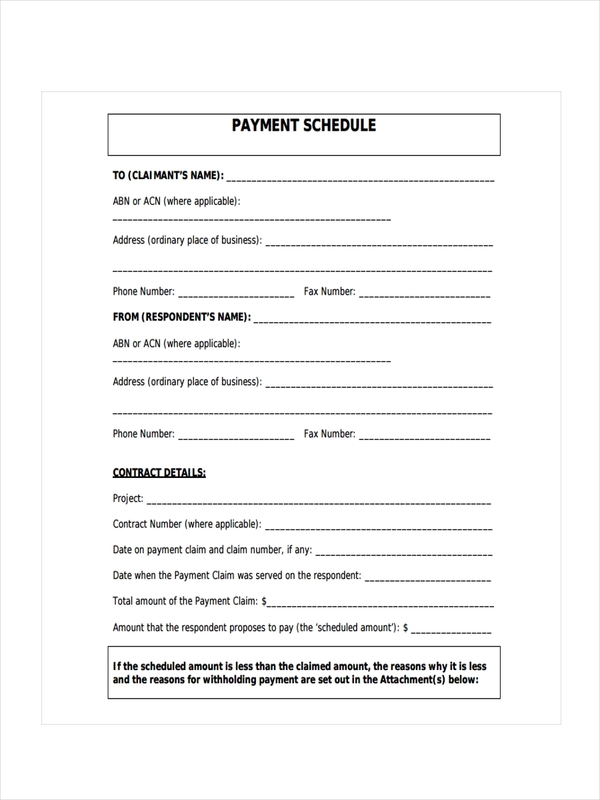 Payment schedules guarantee some form of payment even if a project gets ditched or stopped. Milestone payments ensure that you are paid for the work you have billed per predetermined schedule or milestone event. Cash flow statement for the business is controlled as billing for services rendered is updated after every milestone event. This in turn helps you somewhat ease up on your budgeting. 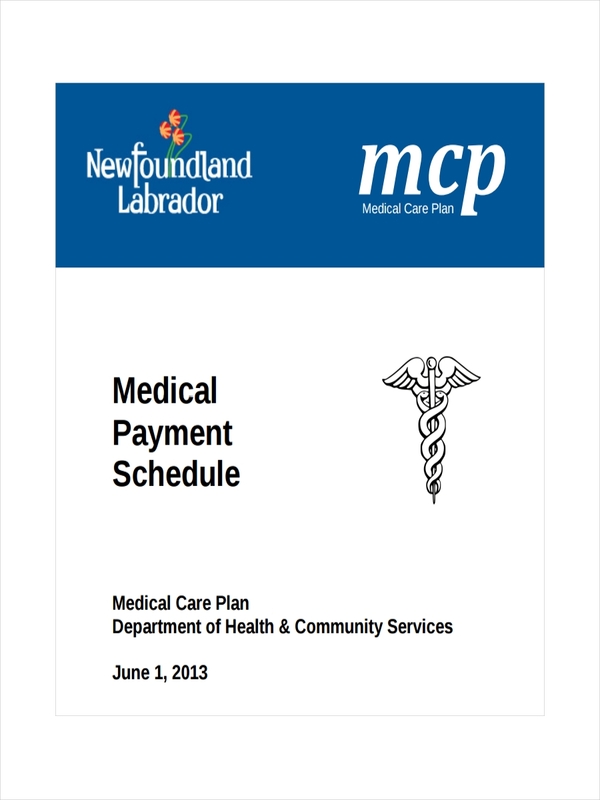 Payment schedules also help determine if a client is a non-payer. Having to continue doing a project where you would not be paid would not make sense and detecting this early on is vital to every project that you take. 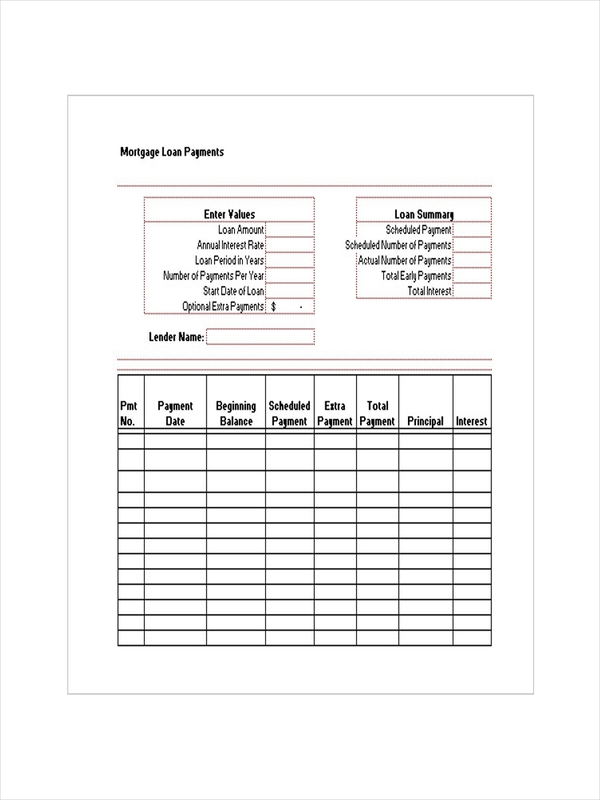 Having payment schedules create deliverables that is not only fair to you as a contractor but also for the client. Schedule examples in excel and sample schedules are seen on the page for additional information regarding a payment schedule. Click on the download link button below each sample to gain access to the file.